I've been a little sad about my hydrangeas. 2014 was not kind to them. The snow killed off more of the old branches than usual. Then, after waiting like 4 extra weeks for spring, we had a late frost that killed off any of the buds on the branches that didn't die. I ended up cutting practically every branch to 6 to 8 inches. I have 9 kinds of hydrangea and not one of them is the kind that can be cut all the way back in the spring and still bloom that year. 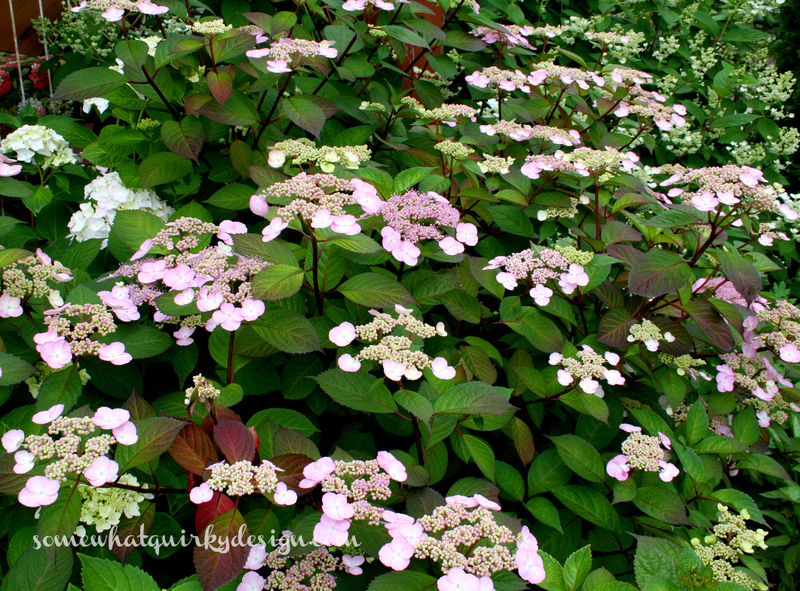 Most hydrangeas bloom on "old wood" or stems that grew in previous years. There is an occasional bloom hiding among the foliage. The Quickfire are firing as usual. Now I won't have to go all winter without petals to make eggs, and wreaths, and garlands. The three giant blooms on my Forever and Ever hydrangea are the most beautiful blooms it has ever made. So let me get down to business. 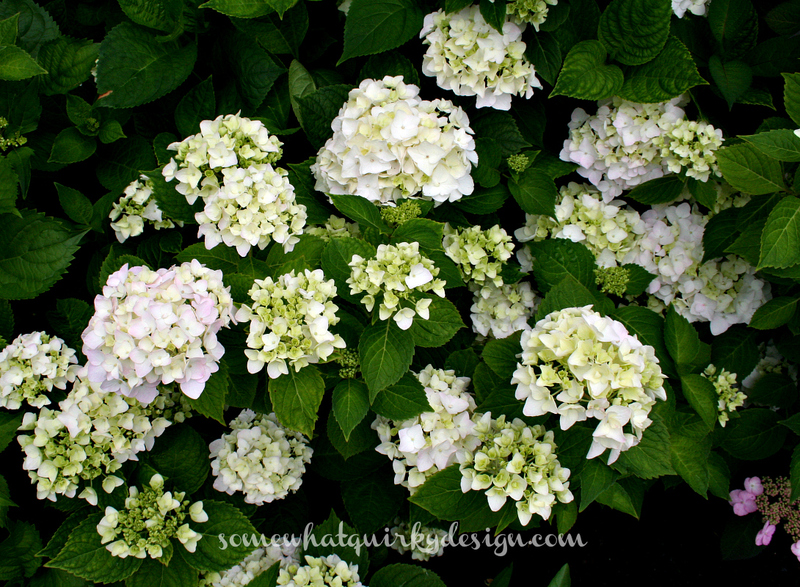 Except for the Quickfire hydrangeas, the rest of the hydrangeas in this post are mop-head or lace-cap hydrangeas. They should be pruned by Method 1. As with almost all hydrangeas, they should only be pruned before August. August is when the buds set for the next year's growth. Prior to this time blooms can be cut with any length of stem. After the buds are set you should only cut at just above the first large set of leaves. All dead wood should be removed at the base. After the plant is 5 years old approximately 1/3 of the oldest living stems can be removed at the ground each summer. This revitalizes the plant. Prior to age 5 most plants don't require any pruning except for the removal of dead stems. Note: a group of mop-heads called 'remontant' will regenerate the buds if they are killed off by frost or cut at the wrong time. Endless Summer is included in this group. 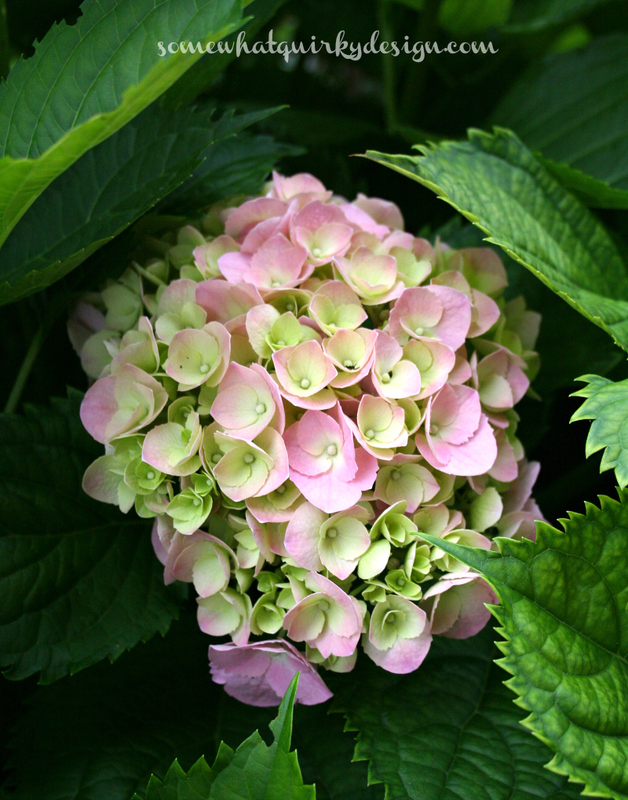 For more information on methods for pruning hydrangea check here. I hope you are appropriately sad for me. And I hope your hydrangeas are full of blooms! I got next to no blooms this summer. I am bummed. I'll be pruning this week. Surprisingly all of my hydrangeas made it through the winter. My favorite are Annabelles. They are just now in full bloom, and something is breaking them off at the base!! I found Japanese beetles on my roses, but I think they eat leaves, so I have no idea what's happening. I'm ready to throw in the towel! Maybe you'll get a few more surprise blooms before the season's over. The flowers you have are gorgeous! 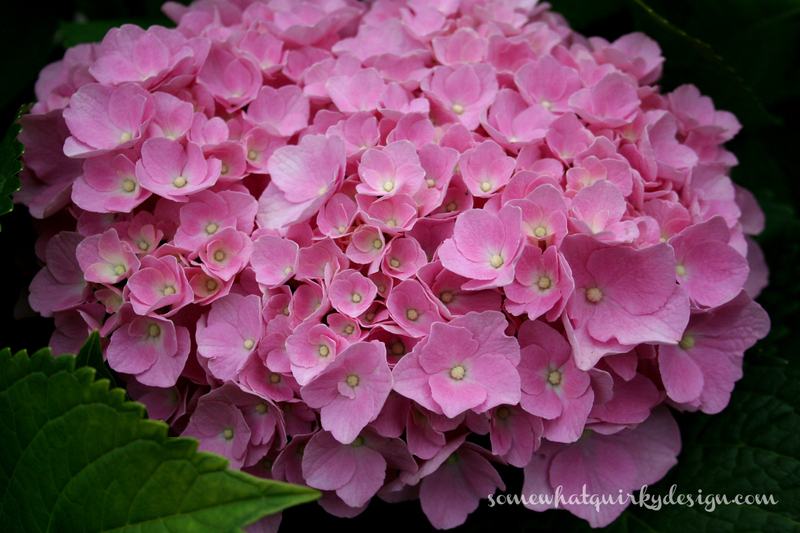 My hydrangea looks like yours right now. 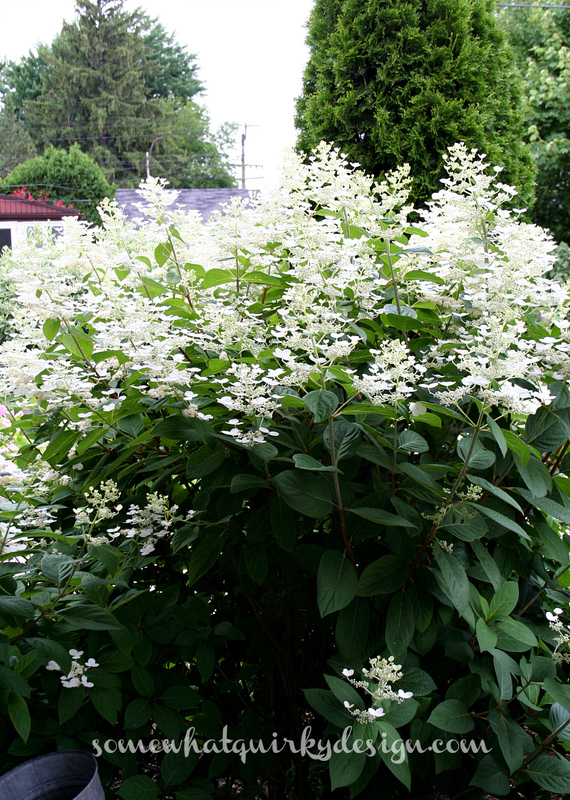 Mine is due to my own ignorance and overzealous pruning, and I should feel lucky that I have a hydrangea plant left at all. I have learned now to leave it alone, and ask you if I get confused. 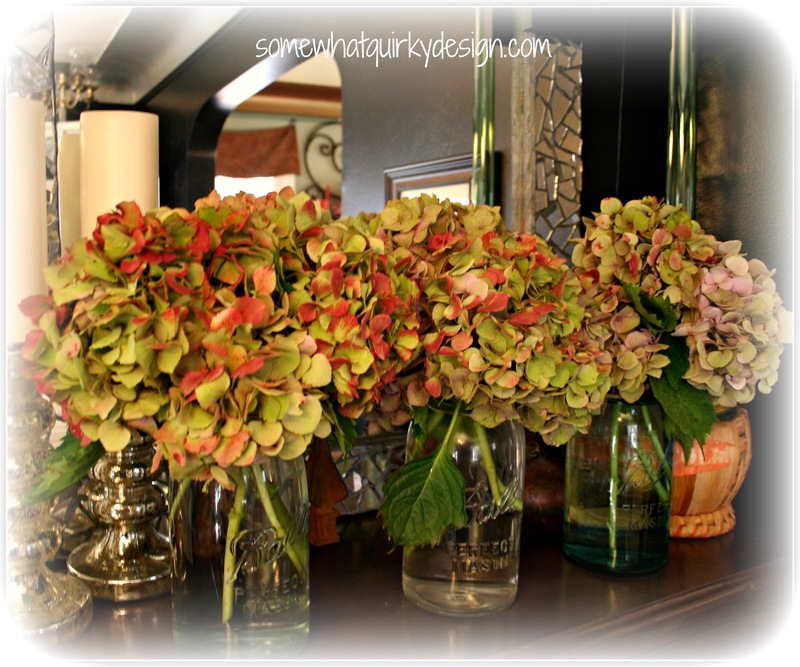 You have 9 kinds of hydrangeas and I have zero. Damn. When we landscape...I'm putting at least a few in. I'm so glad you posted this. I saw all your Quickfire projects and now that my Quickfire is blooming I was trying to remember all the directions. Do you just cut at various times to have a range of colors...or is one part of the season better than others? 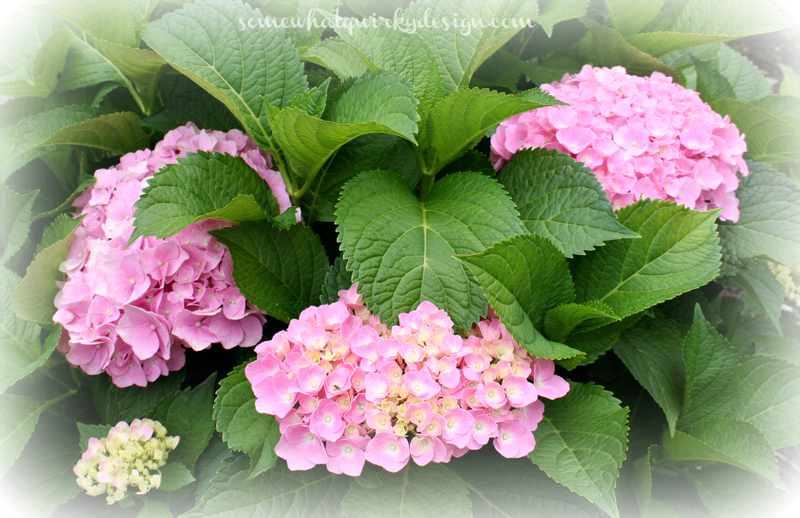 I keep dreaming of hydrangeas for our yard... they are so pretty! Anne this is for you. I cut my Quickfire whenever I want some tall flowers. I don't usually cut them until they have started turning pink. After you pick them put them in water and leave them alone. They will dry over time - even before the water runs out. At the end of the season (usually Sept or Oct for me when the color is really deep I cut off tons more - long stems - and put them in water to dry. So the answer is yes and no. Some of dried petals are a little paler because they have been picked early, but mostly the color varies because that is just the nature of the plant. The back of the petal is always darker than the front - another thing that provides the variety of color. They will be different colors each year as well, depending on the weather, etc. The only other pruning I do is cut out one old branch from the center each year and cut off all of the dead blooms that were left on over the winter. Oh, and I also prune out any branches that are crazy crooked or laying on another branch. You are my kinda gal! 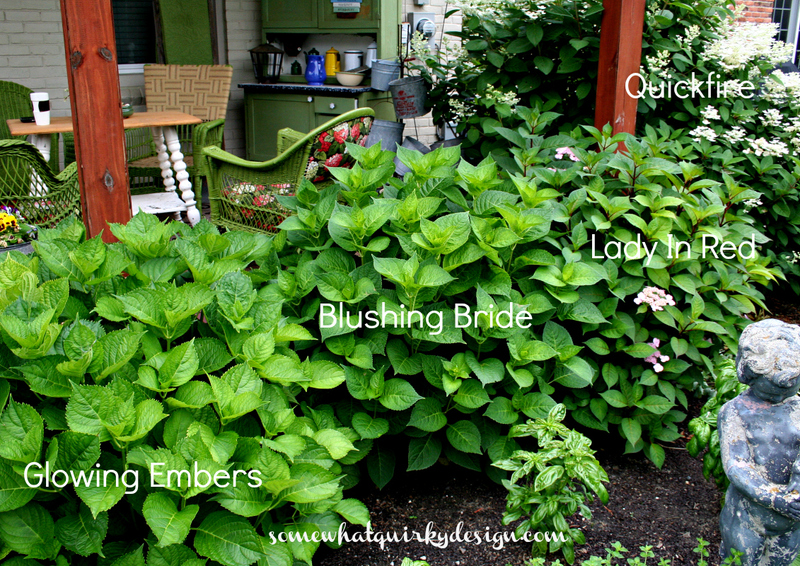 My hydrangeas all look like yours - all except the Annabelles which are blooming profusely. But not a single bloom on the pinks or blue or even the peewees this year. That darn nasty winter!! I'm glad some are still producing...those pink ones are lovely!! I am very sad for you...I am sad for myself, too. I have no hydrangeas. Where were you 18 1/2 years ago? Your pink ones are gorgeous Karen!